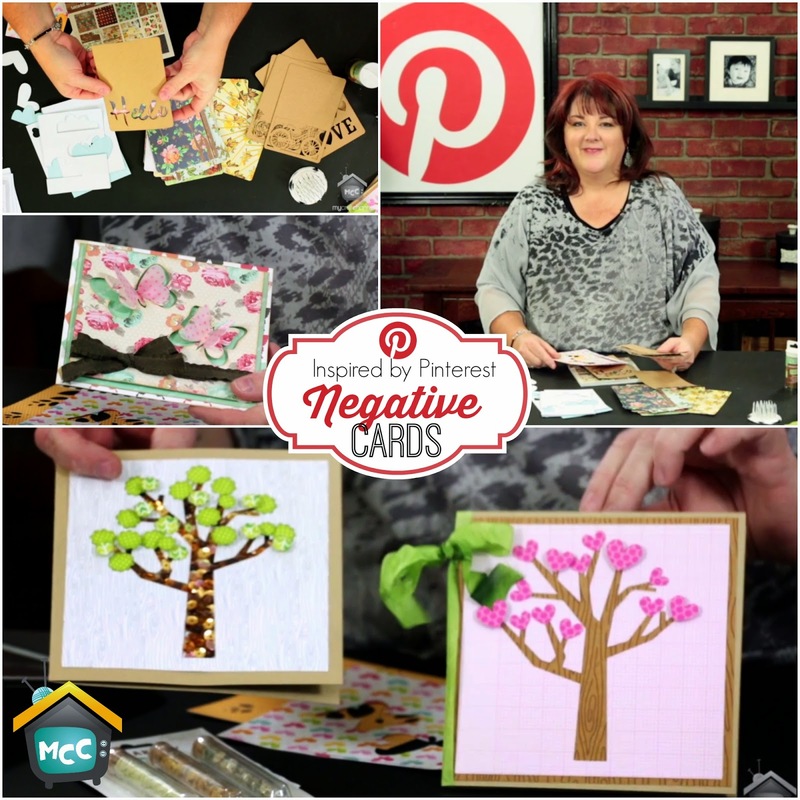 Watch today's Inspired by Pinterest on My Craft Channel today as I share some fun ideas on making "negative cards". We're not talking about cards with a negative message, we're talking about using the negative space cut out from paper to create some amazing layered card creations. And bonus, it's one of the first times I am featuring one of my largest and most popular Pinterest Boards, "Cards." 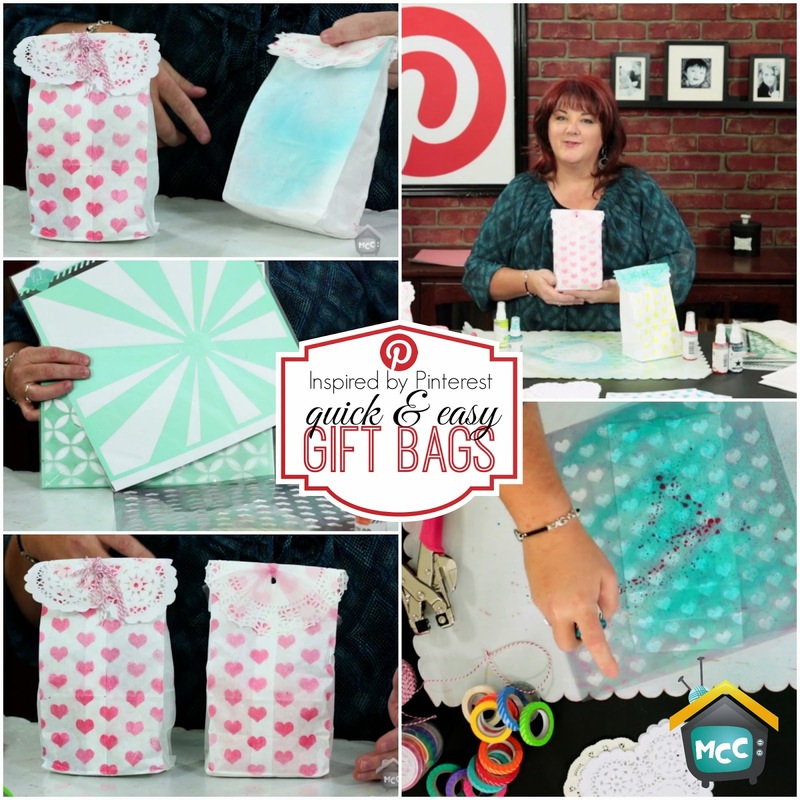 Join me for today's Inspired by Pinterest on My Craft Channel as I share some quick tips for creating a darling gift bag when you're in a hurry using Color Shine, a stencil and a plain paper bags. 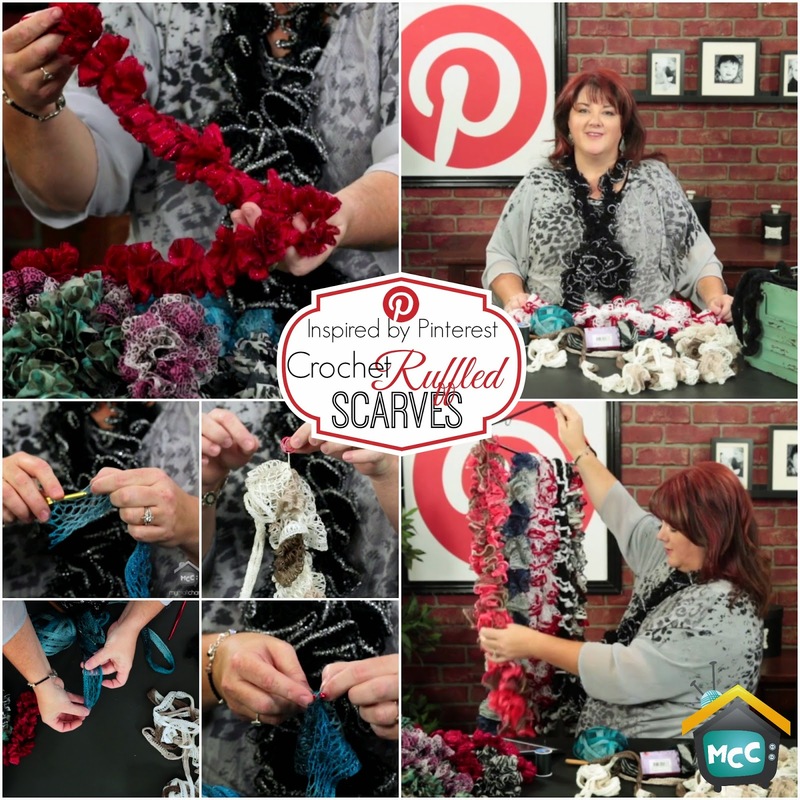 Join me for today's Inspired by Pinterest on My Craft Channel as I share how to make the trendy ruffled scarves with a simple crochet technique. I found this craft to be very therapeutic during my months of recovery following a double-mastectomy, when normal crafts we very difficult to do. If you like to keep your hands busy while watching television, or just like cute scarves then this episode is for you. Watch me and my cute daughter Emma as we share how fun and easy it can be to create your own glitter bunny canvas. The fun Easter craft technique can be applied to wood, canvas and other surfaces and it's so simple you and your kids can create this together!